Soul Maps, introduces you to the Tanya, a 200-year-old text with a revolutionary new look at human psychology. It provides Kabbalah-based tools to help you understand yourself.Until the publication of Tanya, the Kabbalah was an esoteric discipline that was studied and understood by only a select few. 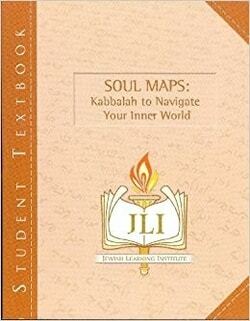 Tanya, however, sought to make the teachings of Kabbalah practical, relevant, and accessible. Its numerous reprints attest to its success in achieving this goal.A precursor of the modern self-help genre, Rabbi Shneur Zalman authored Tanya as a substitute for his personal mentorship. If you attend this course, you will experience six virtual sessions of spiritual counseling from a master of Kabbalah and the nature of the soul. You will come to understand the source of guilt, conflict, and confusion, and find useful strategies for developing joy, purpose, and direction in everyday life.